Freelancers that make their money off customer projects have little time for new technologies. With Hologram, you can get a sneak peek at WebVR, without losing entire monthly incomes in the process. Hologram is a native app for macOS and is as such useless for everyone that does their daily work using Windows. Mac users should definitely check out the completely free to use app, at least if they’ve already thought about looking into WebVR, but didn’t want to put in the effort. Hologram allows you to create rather complex 3D worlds for the browser. Here, no coding knowledge is needed, as Hologram writes the code itself. In concept, the app is reminiscent of Flash, or Dreamweaver’s DHTML tool (who remembers that?). 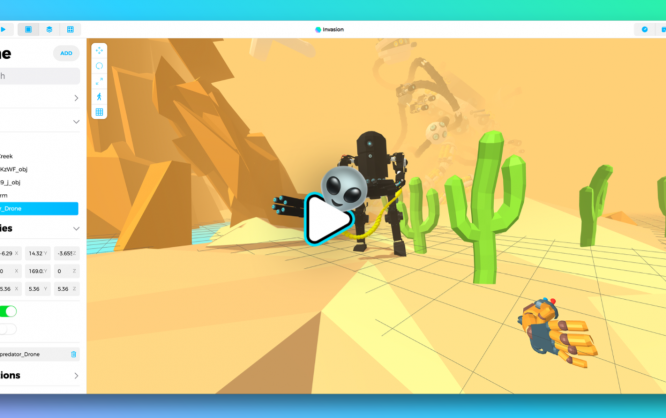 Use the mouse and the keyboard to stage your WebVR world. Drag and drop, as well as the input of numerical values in accordingly named input dialogues, are the only techniques that you should be capable of in advance. Hologram takes care of the rest. The full integration of Google Blocks is something that makes the tool especially flexible. 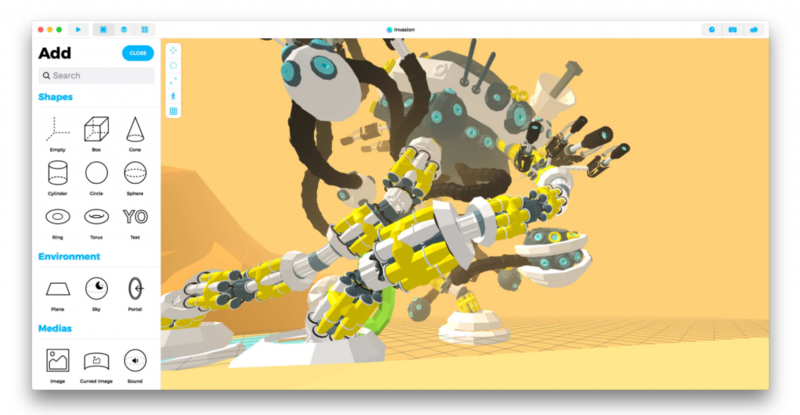 Blocks is a Google tool for the creation of three-dimensional objects with 3D hardware, like the Oculus Rift, or the HTC Vive. Objects created this way can then be made available to the community. This is how you can benefit from Blocks without owning the necessary hardware. Hologram integrates the 3D elements created by the community in its toolbox. By the way, A-Frame, Mozilla’s WebVR framework, is what’s running under Hologram’s hood. Thus, you can seamlessly tie projects created with Hologram into your A-Frame workflow. In the end, Hologram is a quick introduction for all developers interested in WebVR. You can’t avoid code experience for the final touches in a professional environment. However, Hologram is the ideal visual editor for a sneak peek, and the first couple steps. Thanks to the foundation being A-Frame, and the integration of Google Blocks, Hologram is pretty future-proof too. Definitely, take a look if you’re interested in WebVR. By the way, the developer is already working on a Windows version.